Dr. Money and clinic cat Homer. Dr. Money graduated from veterinary school in 1992 at Michigan State University. She has practiced in the Dearborn area ever since. 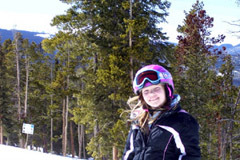 She is married to Scott, and they have one daughter named Emily. 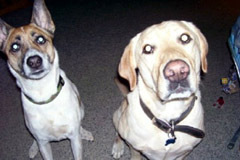 They have two dogs--a Lab named Bud and a cattle dog mix named Aussie.  She's been with Dearborn Family Pet Care since 2002. 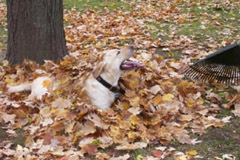 Bud playing in a pile of leaves! 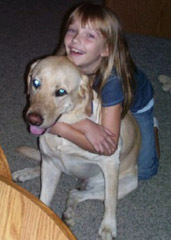 Dr. Pohl graduated from Michigan State University's College of Veterinary Medicine in 1994. She formerly had practiced in the Down River area. Dr. Pohl has a special interest in exotic pets, especially small mammals. Dr. Pohl is married with two sons. She shares her home with 2 dogs, 3 cats and several fish.